The Broadmoor Curling Club is proud to announce the 13th Annual High Altitude Bonspiel hosted by the Denver Curling Club! Come join us for a weekend of curling and friends! The Bonspiel will take place Memorial day weekend (May 24, 25, & 26) at the Denver Curling Club. Price will be $400 per team or $100 per person. The Marriot Courtyard Golden Hotel has agreed to give a discounted room rate of $109 to bonspiel participants. The Broadmoor Curling Club is dedicated to developing curling facility in the Pikes Peak Region. We'd like for this to be a state of the art facility that is meets Colorado Curling needs for curlers of all ages and abilities with leagues to support them. Right now we have an opportunity to build a Dedicated Curling Facility in the Pikes Peak Region. You can help us out by contacting our Board on the contacts page. Is your company is looking for a team building event or company function? The Broadmoor Curling Club can host a corporate learn to curl or Team Building Event. Welcome to the Broadmoor Curling Club! 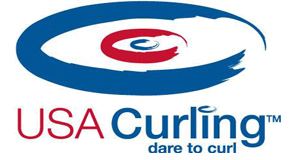 The Broadmoor Curling Club (BCC) was founded in 1968 and is an amateur sports organization, which fosters the Sport of Curling, in the Colorado Springs area. The BCC is a 501(c)(3) charitable organization committed to teaching, developing, promoting and encouraging the spirit of curling; to develop youth and adult programs that lead to local, national, and international competitions.